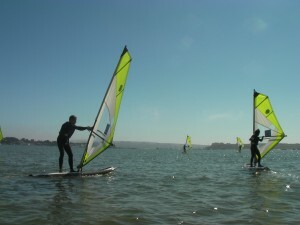 The evening windsurf club is back for the summer at the Poole Windsurfing School. Make the most of the long evenings and relax after work with a bit of sunset windsurfing! 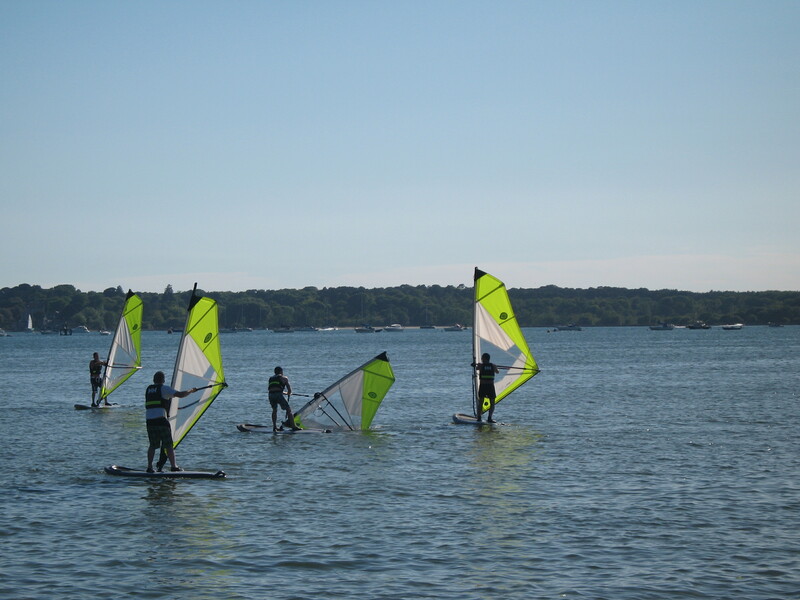 The windsurf club is open to all our past students & friends they may wish to bring along. 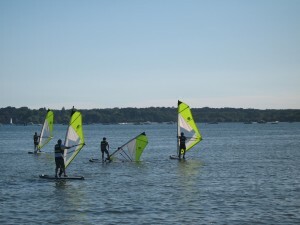 We have been asked for a few variations on the evening/timing for this and having compiled all the feedback we are running the ‘Poole Windsurfing Evening Sessions’ on a WEDNESDAY, 6.30pm-8.30pm. We will endeavour to run these sessions every Wednesday but there may be the odd evening that just wont work because of a low tide. If this is the case we will either look at running it on another day just for that week or postpone until the following week. If you are bringing someone along who is new to windsurfing we may be able to arrange a taster windsurf lesson, for them to get them to a level where they can then hire the equipment & practice with everyone else. Make sure you get in touch early if you want to be part of the Poole Windsurfing ‘Evening Sessions’ windsurf club.